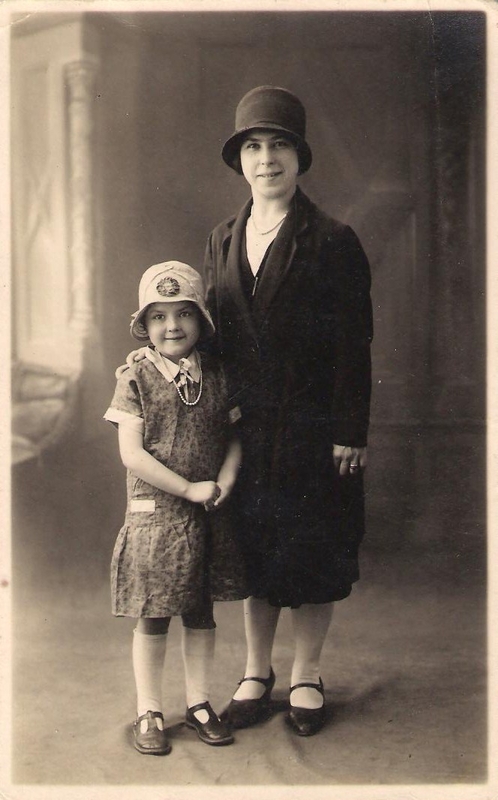 This beautiful photo above is of Mabel (my great grandmother’s sister) and her daughter Mabel Benest. The clothes are very typical of the fashions of the 1920’s, as is the ‘Cloche’ styled hat that they are both wearing which came into fashion about 1923. The younger Mabel was born in 1925, and in this photo she must be about six or seven years old, which means that this photo may have been taken about 1930. 1902 – Mabel was born on the 14 September1902 in Jersey, Channel Islands. Her parents were John Lozuet and Clara Anna Mabey. 1902 – On the 19th October she was baptised. Her godparent was her Aunty Jane Mabey (her mother’s sister). 1911 – In the census of April 1911 Mabel is living at 1 Providence Lane, St. Helier, Jersey with her mother Clara, father John (a foreman) and her four sisters: Clara, Ada, Violet and Elsie. 1924 – Mabel (age 21) marries Francs Benest on the 30th August 1924. 1925 – Mabel (age 22) gives birth to a daughter: Mabel Maud Benest on the 31 January 1925. 1936 – Mabel (age 34) moves in with her sister Clara at 29 Dorset Street, Jersey. What happened to Mabel and her daughter after this is unknown. 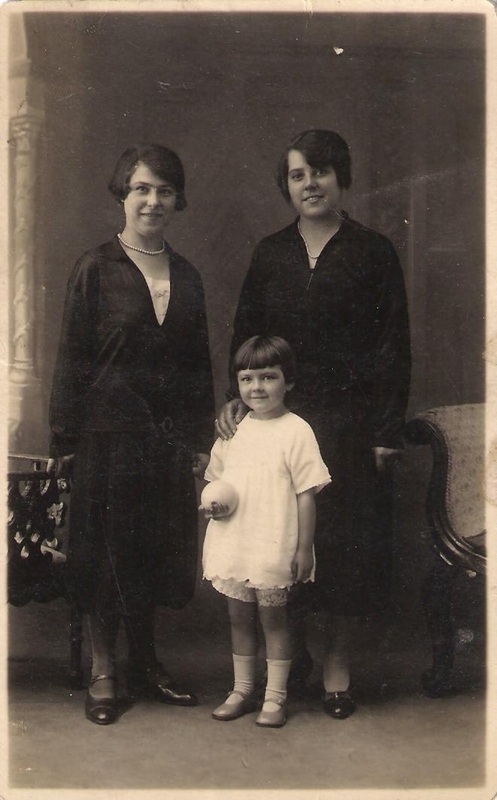 Below is another photo of Mabel and her daughter and a third person who I have not been able to identify. Maybe you can help? Mabel is on the left with her daughter in the middle. The woman on the right is Mabel’s older sister, Ada. The child Mabel is younger in this photo (about four years old) which means that it was taken about 1929. If you can help with any more information about Mabel, her daughter and the mystery third person in any way I would love to hear from you.